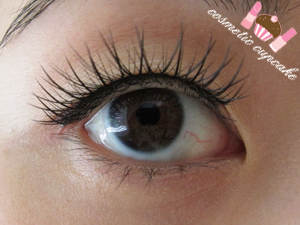 I was offered the opportunity to review false eyelashes by Maggie from online store KKcenterHK recently. KKcenterHK is an online store based in Hong Kong that sells makeup, wigs, nail items, false eyelashes and other assorted items. Maggie kindly allowed me to choose which false eyelashes I wanted so I chose ES A26 after much deliberation and here is my experience with them. I've mentioned this before but I must warn you that I’m a noob when it comes to applying falsies but I’m slowly getting more practise so please excuse the beginner application! The lashes arrived in about 10 working days and were packed in a padded envelope. 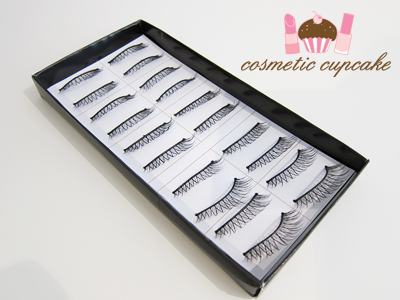 You get 10 pairs of lashes per box which is great! 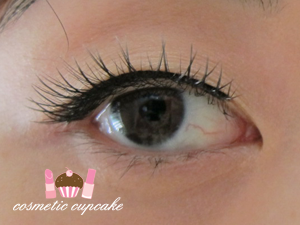 ES A26 are black natural criss cross lashes and are priced at $2.80US per box which equates to only $0.28US per pair! What a steal. After seeing them in real life, they are a little more dramatic than what I was hoping for but these would be fantastic for a night out. They are very long and luxurious looking! Below is a pic of my naked eye - ie. lashes not curled, no eyeshadow, no mascara and no eyeliner. Clearly I was not blessed with long, luscious eyelashes but at least I have some haha. They look super light in this pic but in real life my eyelashes are quite black. Whoa just look at the HUGE difference! I love the look of these on me and they really opened my eyes up giving me a dolly look. I will definitely be rocking these on a Friday night out! The band on these are a little stiff compared to others I have but they still felt very comfortable on. They are also not the most natural looking lashes but for lashes this length it's pretty obvious they aren't natural lashes. Plus for the price they retail for one can't complain at all!! Will I repurchase: As I only wear falsies when I go out, this box will last me for a while so I probably won't need to repurchase this particular style. I will however definitely consider purchasing other styles! 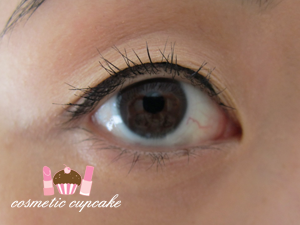 I'm looking for some natural looking falsies that are budget friendly and KKCenterhk is definitely the place to go. You can purchase your own eyelashes from their site here. 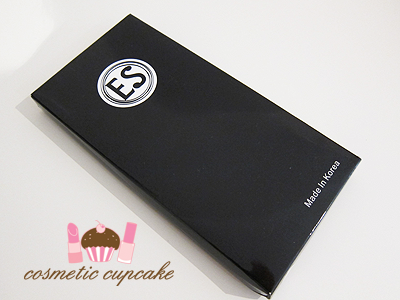 A big thank you to Maggie from KKCenterhk for providing me with this product! I was sent the above product to sample but this in no way influenced my review in any way. As always, my reviews are my 100% honest opinion. Do you enjoy wearing false eyelashes? What brand/type are your favourite? oOOo..the packaging looks very pretty. Have you tried the model21 lashes before? How do these compare to those? I'm looking for some good falsies right now. I can't apply false eyelashes... I'm a total, total clutz. 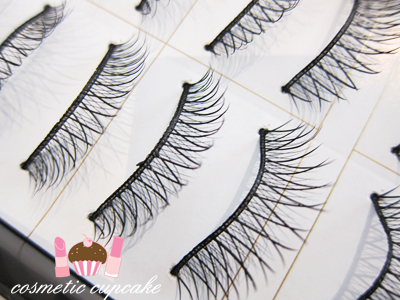 Wow!Theese look amazing on you 'Chelle!I have some false eyelashes, but I have quite long lashes and I'm a clutz, so I end up sticking my lashes to each other every time.I'll be more patient next time I try, so it might work! I'll check the store out! Thanks for sharing, and have a good day! They look FABULOUS : D Very natural! Love 'em! If the band is stiff, roll it around a pencil to 'break it in', and it should be ok after that! @xbbkay: Unfortunately I haven't tried them so I can't compare. I'd like to try them though! I saw them in loads of places in HK but just didn't grab them doh. @Ria: You're too sweet Ria!! 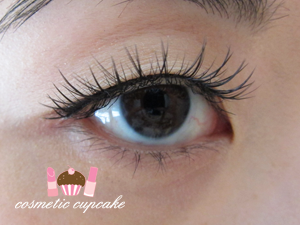 =) Oh I'm envious of you ladies with naturally long lashes, please share! I only recently got the hang of applying falsies and yeah the key is patience. Do check the store out, you're bound to find styles you like as they have so many! @Li Lian: I wore them for 4-5hours with no problems at all. I use quite a bit of glue. I'm always paranoid they'll fall off when I'm out lol. @LOOK! FLYING MONKEYS! : I tried that tip but I guess I didn't do it for long enough. I'll give it another go thanks!